Brian P. Herrington is an American composer of contemporary art music whose works have been performed by ensembles such as the BBC Singers and London's Royal Academy Symphony Orchestra, in venues such as Royal Festival Hall, London. In 2002, Herrington received a First Music Award, which includes a commission to write an orchestral work for premiere in Carnegie Hall. Other awards include the Battison Haynes Prize in Composition given by the Royal Academy of Music for his string quartet entitled "Adoration." Though his music is very contemporary in its techniques, his music demonstrates a very unique absorption of the folk music traditions of his home in the Southern United States. Herrington was born in East Texas in 1976 and grew up in the rural parts there. In 1998, he went to the University of Louisville to earn his Masters Degree in Music. There, he studied with Grawemeyer Award-winning composer and visiting professor Simon Bainbridge. 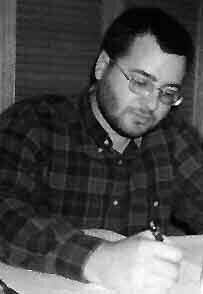 After graduating from the University of Louisville, in 2000, Herrington returned to East Texas and began an evaluation of rural vernacular music of the Southern United States (blues, bluegrass, gospel, rural folk music), applying new analytical methods, and cataloguing instrumental and vocal techniques of that music. During this time, the composer attempted to refine the absorption of these non-classical materials into his music. Herrington began studies at the Royal Academy, London, in 2001, where he studies composition with Simon Bainbridge. In the Ph.D. program, Herrington continues his research of vernacular music from the Southern United States, while tracing historical links of that music with European and African traditions. Herrington is a member of the American Music Center and the British Society for the Promotion of New Music.